Clients in the wealth management industry have placed relationship managers in a privileged position, trusting them with their family’s capital and their long-term prosperity. This position demands that relationship managers are seen to be pro-active. 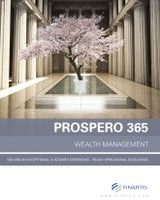 Prospero helps you to achieve this by suggesting targeted investments to your prospective and current clients. It’s pro-active because you are. 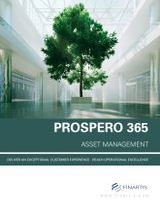 Prospero provides users with the ability to suggest the most suitable investment strategy and asset allocation for each and every client. With Prospero, you can trade recommended investments to portfolios with a single click and gain instantaneous profiles of newly-adjusted portfolios. Prospero’s aims are to consistently exceed client expectations with regard to their time horizons, investment objectives and constraints. Keep details of each individual client within easy-to-reach access: their investment analytics, their activity and relationship history and all other relevant details. As soon as your conversation begins with a client, you have a complete 360° overview of where their portfolios have been and where they are headed to, as well as having the confidence to make suggestions about where you believe they can make improvements. 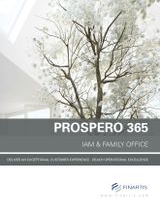 With Prospero, you have everything you need to create perfect relationships. Configure preferences to remind you of each major event. Schedule and organize your contact activities with our simple-to-use Organizer, and generate tasks to perform using predefined processes. With Prospero, tasks such as preparing for client meetings and tracking feedback are effortless. In short, you will always be on track and on the ball. Providing targeted transparency has just become a whole lot easier. 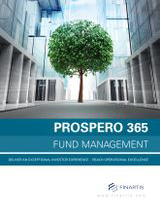 Prospero enhances the CRM functions of finance firms through customizable fact sheets and reports with detailed investment information and advanced analytics, which can be shared in a single click.